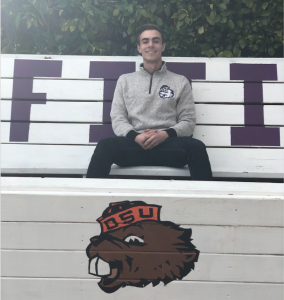 The Kappa Omicron Chapter has been recognized as the most successful community service program found within the Greek system at OSU, with brothers volunteering over 3,400 hours in service to the community each academic year. In partnering with the Jackson Street Youth Shelter, Habitat for Humanity, and the Heartland Humane Society the Kappa Omicron chapter hosts three different community service projects every week for members to participate in, allowing them to explore the value of service towards others. 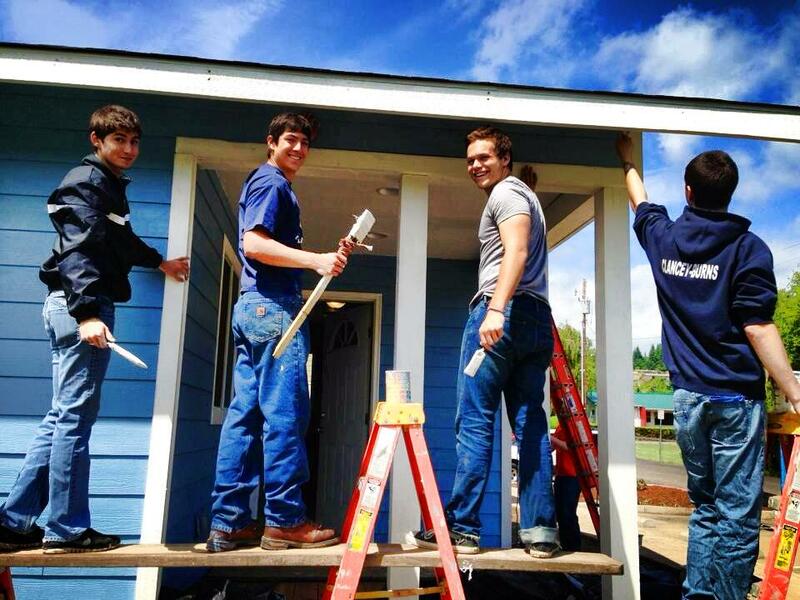 Brothers putting the finishing touches on a home at Habitat for Humanity. During the Fall Term of the 2011-2012 academic year the brothers of Phi Gamma Delta began volunteering at Habitat for Humanity weekly. Our weekly scheduled time of service is Saturday from 10am to 2pm. Habitat for Humanity helps to generate housing opportunities for those with low income. We have continuously been involved on five local projects. The activities we participate in for the Habitat for Humanity included digging, painting, basic construction and other manual labor. These activities are all crucial elements of the bigger project and the volunteer hours we and others offer are the only way that such projects can be completed. Most recently, Kappa Omicron was named Volunteer Crew of the Year for Benton County for our partnership and consistent participation. Our brothers look forward to our continued cooperation with the Habitat for Humanity to continually benefit the Corvallis community. 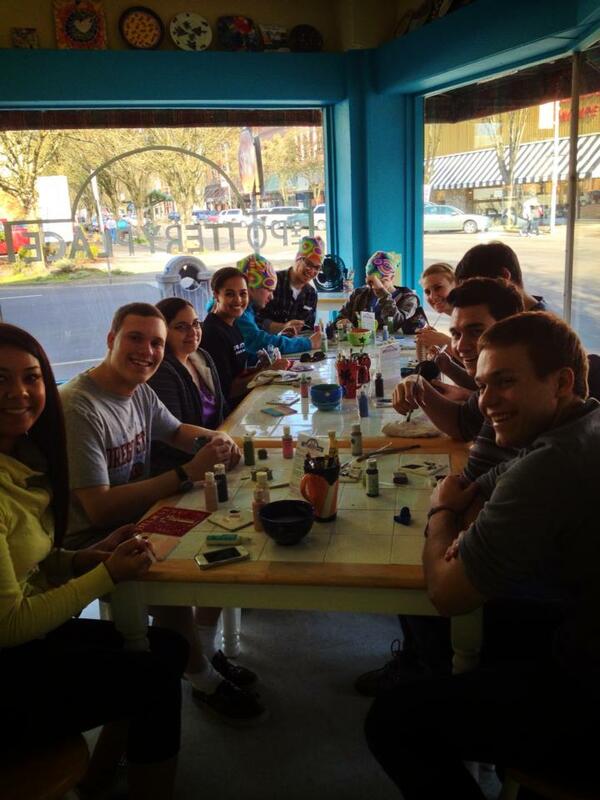 Brothers painting pottery with the youth from Jackson Street. 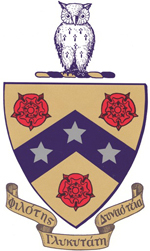 The brothers of FIJI originally developed their partnership with Jackson Street Youth Shelter during the 2011 school year. Jackson Street provides support services for at-risk youth in Linn and Benton Counties. With a beautiful home in downtown Corvallis, Jackson Street also provides shelter and security for youth on a 24-hour basis. Each week, our brothers take time out of their schedules to create a fun space for the youth at Jackson Street. Every Saturday from 3pm until 5pm, our brothers organize and put on a recreational event for the youth staying at the shelter. Whether we’re playing a game of volleyball, basketball, or exploring the downtown community, our brothers always have a great time when they head to Jackson Street. KO brothers at Heartland with the beautiful ladies of Kappa Kappa Gamma. 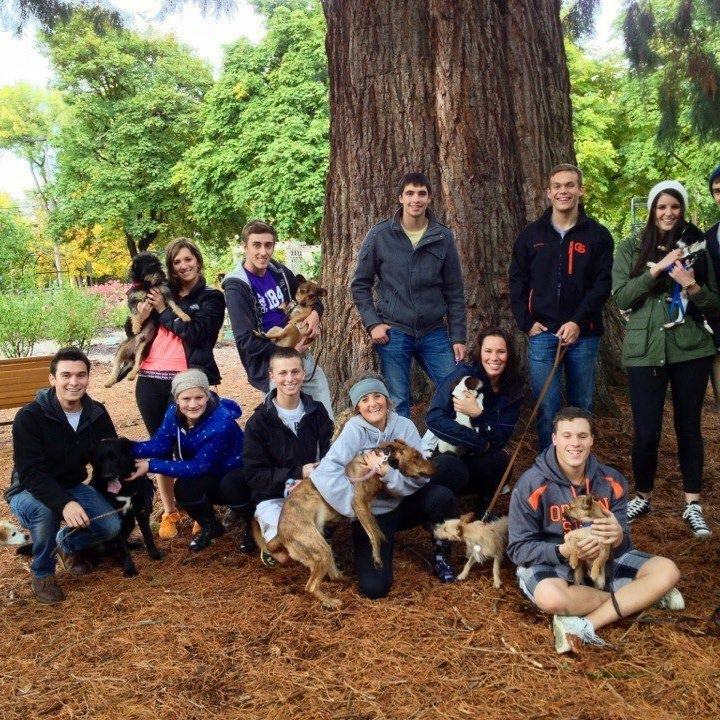 Working with Heartland Humane Society in Corvallis has lead to a great connection with the community. The companionship that we and the animals receive from this experience offers the animals and us something to look forward to at the end of the week. Some real relationships have been founded with the animals taking shelter at Heartland. This event forges extended possibilities for the animals to find a home. By visiting the Heartland Humane Society we also grow as a Greek community by involving other chapters. Tasks that we complete at Heartland Humane Society include walking dogs, petting cats and socializing with other animals. We are there for one to two hours weekly and generally invite a sorority to go with us. In the past we have visited the Heartland Humane Society primarily with Alpha Phi and project that the Greek involvement will expand to other chapters as well. We have made great connections with the employees and volunteers at the humane society and we are deeply emotionally involved with their success. With so many brothers actively involved around campus, the chapter’s community service is not solely limited to our three partner organizations. Kappa Omicron brothers currently volunteer their time with Search and Rescue, Community Outreach, the Boys & Girls Club, the Red Cross, Boy Scouts of America, and many more organizations. 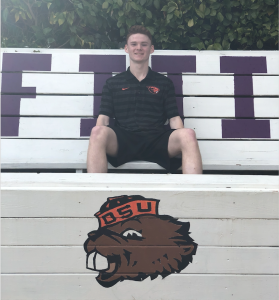 As Oregon State’s premier university for community service, FIJI stands as a fantastic place for men who want to make a difference in the lives of others.